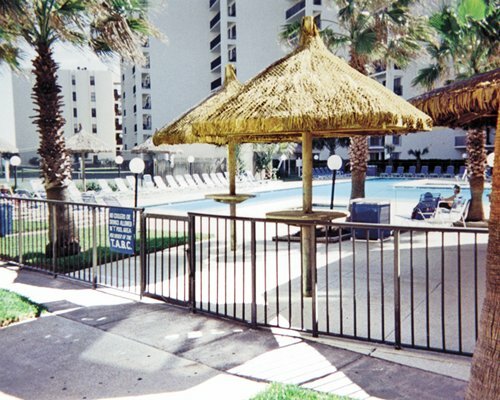 Royale Beach & Tennis Club rests gracefully on the beach of South Padre Island. Three pools, four hot tubs, and four tennis courts are all surrounded by turquoise waves, lush landscaping and blue skies. It's as elegant on the exterior as it is on the interior. And its beauty, like the Gulf, will be hard to forget. Nearby area activities include windsurfing, diving, boating, fishing, golf, racquetball, horseback riding, a fitness gym, a health club, and sauna. 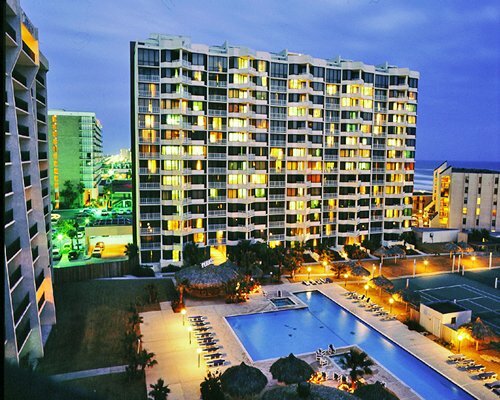 Unit amenities include full kitchen with microwave, washer/dryer, VCRs, balcony, stereo, and TVs (for all units except Doubles and Efficiency). 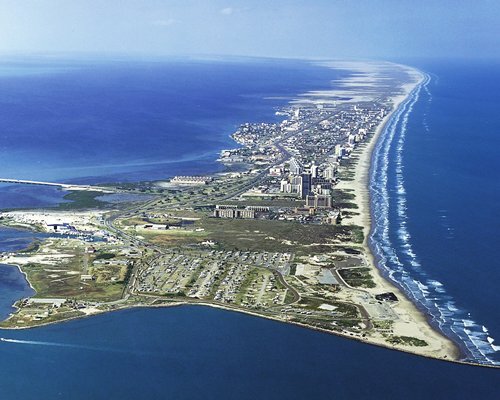 Located on the tropical tip of Texas, South Padre Island is bordered by the Gulf of Mexico and the Laguna Madre Bay. 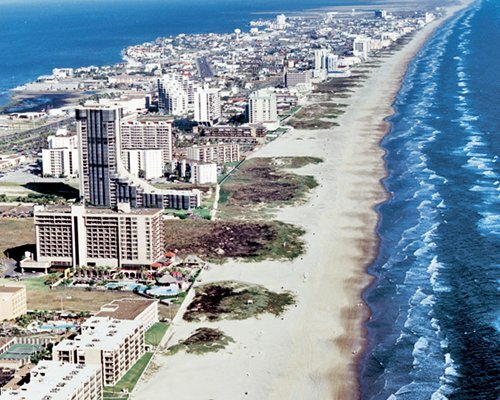 Beautiful beaches, warm Gulf waters, and a diversity of year-round activities await every visitor. As the days wind down with breathtaking sunsets over the bay, night clubs and restaurants come alive with conversation, dining, music,and dancing. Kiteboarders and windsurfers dance through the Island's waves as parasailors glide along the blue sky and soak in the moment filled with a breathtaking, postcard-like Island panorama. Others test their skills at surfing, waterskiing or horseback riding. The Dolphin and Nature Research Center provides a hands-on encounter with the Gulf's inhabitants and stresses the significance of conservation. 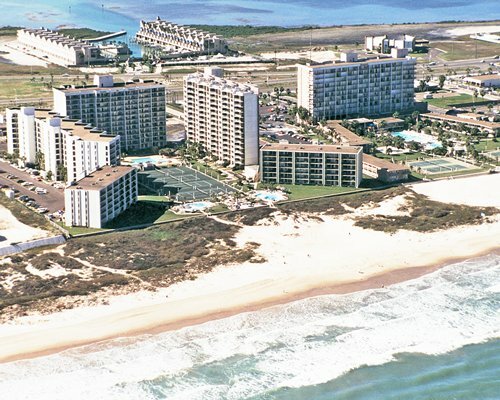 The Harlingen Airport is 45 miles from the resort. Take Hwy 77 South to Hwy 100 and go east to Port Isabel. Cross the Queen Isabella Causeway to the Island and continue to the dead end. Turn left onto Padre Blvd. Entrance to resort is approximately two blocks. Right after Russo's restaurant turn right on the lane going to the guard house for the resort and Saida Condominimums. Airport to island shuttle is available. Rental cars can be arranged on the island or at the airport. Mandatory Utility surcharge is 2.00 U.S. dollars. Cash or Credit is accepted. 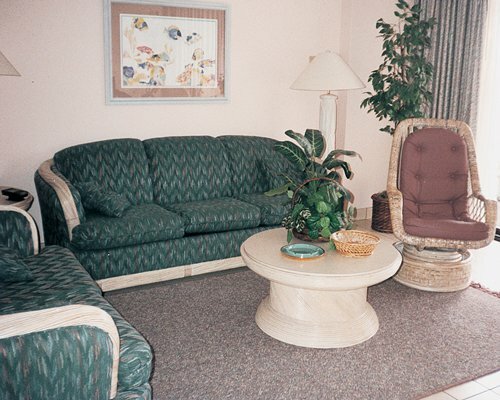 "Housekeeping fee for all RCI points reservations: There may be a fee of 31.00 U.S. dollars for Studio, per stay. Cash or Credit is accepted." "Housekeeping fee for all RCI points reservations: There may be a fee of 41.00 U.S. dollars for 1 Bedroom units, per stay. Cash or Credit is accepted." "Housekeeping fee for all RCI points reservations: There may be a fee of 56.00 U.S. dollars for 2 Bedroom units, per stay. Cash or Credit is accepted."